The Supreme Court of the United States (SCOTUS) has struck down a provision of that country’s trademark statute, the Lanham Act, for violating the constitutionally guaranteed freedom of speech. The provision in question is the “disparagement” clause, which barred the registration of any trademark “which may disparage . . . persons, living or dead, institutions, beliefs, or national symbols, or bring them into contempt, or disrepute.” (§1052(a)). The long-simmering issue of the constitutionality of this provision came to a head in two recent high profile cases, only one of which was before SCOTUS. The case heard by SCOTUS was Matal v. Tam, and it involved the Asian dance band The Slants, which had unsuccessfully sought to register their name as a trademark. The band’s name uses a common racial slur, but their objective in registering the name was “to “reclaim” and “take ownership” of stereotypes about people of Asian ethnicity.” (at p. 7) The other case, which had been put on hold by an appellate court pending the decision of SCOTUS in Matal v. Tam, involved the infamous name of the Washington D.C.’s football team, the Redskins. The Trademark Trial and Appeal Board had ruled that this name was disparaging of Native Americans, and ordered it struck from the register. This decision had been upheld by a court in review, and was under appeal. As a result of the decision in Tam, this name will undoubtedly be allowed to stand. This decision ends a long saga involving offensive trademarks in the United States. 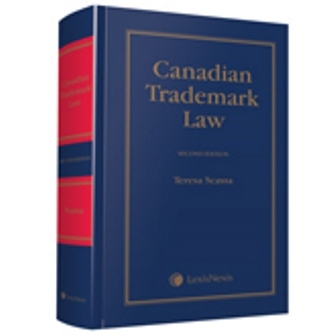 In the Canadian context, a provision in the Trade-marks Act that effectively prohibits the adoption, use or registration of a trademark that is “scandalous, obscene or immoral” (s. 9(1)(j)) has yet to be properly tested in court or measured against the Canadian Charter of Rights and Freedoms. Given the erratic history of the use of the provision (see my post here), it undoubtedly violates the freedom of expression, and would be difficult to save under section 1 as a reasonable limit, demonstrably justified in a free and democratic society. This raises the question of what other means are available to address offensive speech in trademarks. 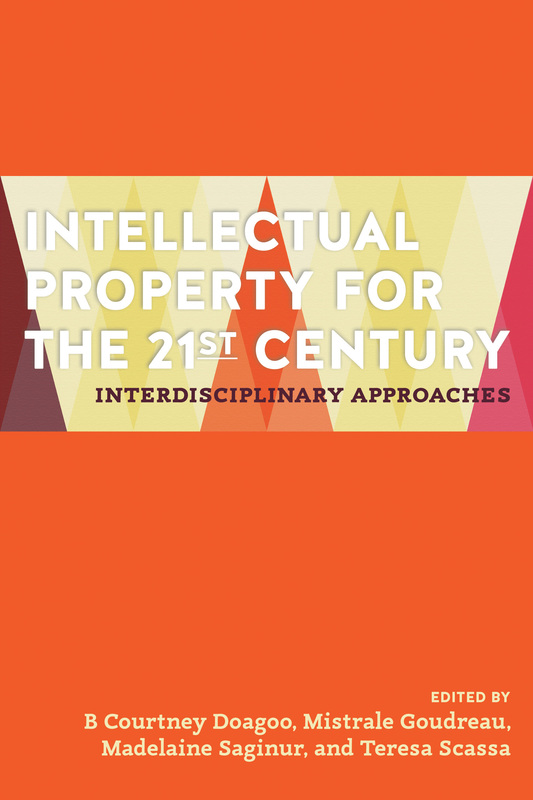 In the U.S. many have argued that this is an issue for the market to decide; if a mark is sufficiently offensive, consumer repugnance will lead to a failure of the product or service or force the trademark owner to change the mark. Given the long history of sports team names and logos such as those of Washington D.C.’s NFL team and Cleveland’s Major League Baseball team, this is a questionable theory. The disparagement of minority groups is not easily addressed by market forces if the majority is indifferent to or complicit in the offense. In Canada, the answers may come from outside trademark law. Certainly there are hate speech laws in Canada that might apply to the adoption of highly offensive trademarks. The human rights challenges brought by indigenous activist Douglas Cardinal against Rogers, Major League Baseball and the Cleveland baseball franchise (see my post here) are well worth watching. If these claims eventually succeed, they may provide another route by which some trademarks (at least those associated with the provision of services covered by human rights legislation) may be challenged. Just over a year ago, in Information and Privacy Commissioner of Alberta v. United Food and Commercial Workers, Local 401 the Supreme Court of Canada struck down Alberta’s Personal Information Protection Act (PIPA) on the basis that it violated the freedom of expression guaranteed by s. 2(b) of the Canadian Charter of Rights and Freedom. The case arose after a union was found to have violated PIPA by collecting and using video and photo images of people crossing its picket lines in the course of a labour dispute without the consent of those individuals. The union was ultimately successful in its arguments that the limitations on the collection, use and disclosure of personal information without consent contained in PIPA violated their freedom of expression. (You can read more about this decision in my early blog post here). As a remedy, the Supreme Court of Canada struck down the entire statute, but put in place a suspension of invalidity for a period of year. This amount of time was considered reasonable for the Alberta legislature to amend the legislation to bring it into conformity with the Charter. The year passed without legislative action, and at the last minute the government scrambled to obtain an extension. The Court granted a six month extension on October 30, 2014. The Alberta government has now introduced a bill to amend PIPA to bring it into conformity with the Charter. Bill 3 is framed in fairly narrow terms. In essence, it creates a new exception to the general rule that there can be no collection, use or disclosure of personal information without consent. This exception is specifically for trade unions. The collection, use or disclosure without consent is permissible if it is “for the purpose of informing or persuading the public about a matter of significant public interest or importance relating to a labour relations dispute involving the trade union” (proposed new sections 14.1, 17.1, and 20.1). The information collected, used or disclosed must be “reasonably necessary” for that purpose, and, in the circumstances, it must be reasonable to collect, use or disclose that information without consent. The new provisions attempt to strike a balance between the right to privacy and the freedom of expression of trade unions. While it will now be permissible to collect, use or disclose personal information without consent in the context of a labour dispute, there is no blank cheque. Rather than exempt trade unions from the application of PIPA altogether, the new provisions set out the circumstances in which unions may act, and these actions will be under the supervision of the Office of the Information and Privacy Commissioner (OIPC). A person whose information is collected, used or disclosed without their consent by a union may still complain to the OIPC; the OIPC will get to determine if the union’s purpose was to inform or persuade the public “about a matter of significant public interest or importance relating to a labour relations dispute involving the trade union” This wording is interesting – actions by a trade union taken in support of another trade union may not qualify, nor may actions carried out by a trade union to protest a government’s policies. Further, an adjudicator might decide that the information was collected, used or disclosed in relation to a matter that was not of significant public interest or importance. Whether this exception strikes the right balance is an open question which may arise in the course of some future dispute. The issue of the balance between the freedom of expression and privacy is an extremely interesting one, and it arises in other contexts under private sector data protection legislation. These competing rights are purportedly balanced, for example, by provisions that exempt journalistic, artistic and literary endeavors from the application of the statute in certain circumstances. However, as the United Food case demonstrates, these exceptions do not necessarily capture all of the actors who may have information of public interest that they wish to communicate. A few years ago I wrote an article about the “journalistic purposes” exception that is found in Alberta’s PIPA, as well as in B.C.’s Personal Information Protection Act and the federal Personal Information Protection and Electronic Documents Act. I argue that this exception may not strike the right balance between the right to journalistic freedom of expression and privacy. In the first place, it is not clear who is meant to be entitled to the exception (what are journalistic, artistic or literary purposes, and who gets to assert them?) Secondly, the exceptions are structured so that once it is decided that the acts in question fall within the exception, there can be no oversight to determine whether the manner in which the personal information was collected, used or disclosed went beyond what was reasonable for the legitimate information of the public. Although the United Food saga may be approaching its close, the issues around the balance between freedom of expression and privacy are far from being resolved. Expect to see these issues surfacing in cases arising under private sector data protection legislation (as was the case with United Food) as well as in other privacy contexts as well. Note: I recently posted about a privacy law suit that raised freedom of expression issues. It can be found here. Today a group of Canadian civil liberties organizations launched an interactive map of Canada which allows users to document and display instances of chilling of free expression in Canada. The Censorship Tracker is sponsored by PEN Canada, the B.C. Civil Liberties Association, the Canadian Civil Liberties Association and Canadian Journalists for Freedom of Expression. Interactive maps offer a great way to visualize information and to situate it in a geographic context. According to a press release issued by the sponsoring organizations, the Censorship Tracker is meant to be “an accessible and reliable resource that Canadians can use to gauge restrictions on free speech in Canada.” The map allows users to view dots reflecting all posted instances of limitations on freedom of expression, or to view instances based upon the type of limitation (suppression of personal correspondence, the banning of books, limits on public protest, and so on). Data can also be filtered based on other criteria such as the source of the threat (government, corporation, media, academic institution, and so on), the method used to limit expression, and the target of the limitation. There is also a filter to allow one to see whether the report of a limitation has been verified. The website allows users to file reports on incidents that can be added to the map. Of course, one person’s free expression is sometimes another person’s crime, and not all reported examples will be what all Canadians unequivocally consider to be unwarranted limits on free expression. Nevertheless, the goal of the map is both to assist the organizations in responding to threats to freedom of expression by allowing for broad-based, crowd-sourced data collection, and to allow Canadians to access and visualize reported instances.